Christian Klapp is "passionate about Putney"
Thank you Councillor Lister for your years of service to Putney. Your political career has spanned an era of huge change in Wandsworth. You don’t have to be of one political party or another to recognise exceptional service. Edward Lister has demonstrated such service in spades. Respectfully, I disagree with him on local issues – in particular the overdevelopment of Wandsworth which he, as he says himself, has actively encouraged. Turning Putney into Dubai-on-Thames is not what I want for my patch and I write as someone who likes Dubai – I just prefer it where it is. One thing I wonder if Councillor Lister might privately regret is how party political issues have become locally. Local government is at its best when it is about committed residents coming together and articulating their ideas to make our area better – just differing on how to achieve it. There is too much forcing councillors to tow a party line at odds to the best interests of their patch. There shouldn’t be a Conservative view vs a Labour view on every single issue. There should, far more often, just be a Putney view. I’ve lived in Putney almost my entire life. I love it here. I want to give something back. I hope I have the same ethos of public service that first motivated Councillor Lister to serve. 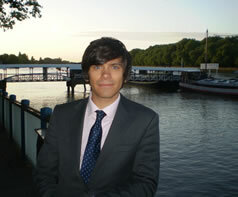 Passionate about Putney is what I’m going to try to make the coming by-election about. So let’s cast the rosettes aside and use this rare opportunity to find out who will best champion Putney at the Town Hall. I think that will be the greatest tribute we can pay Edward Lister for his commitment and service.